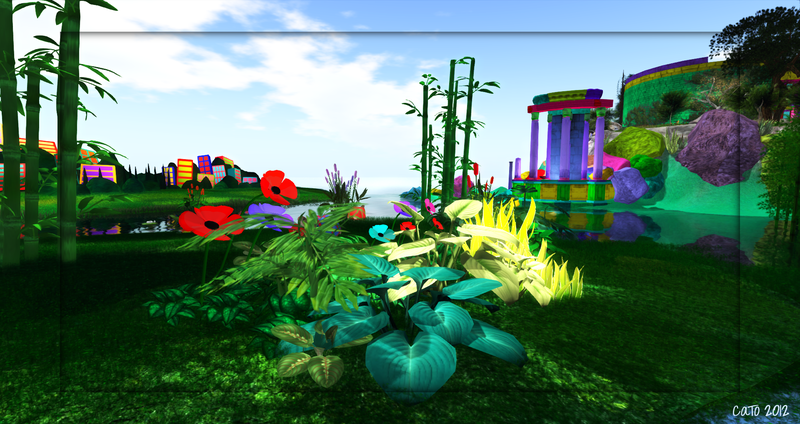 In MIC you can currently visit one of the most colourful art installations in SL, Mexi Lane’s Virtual Reality. 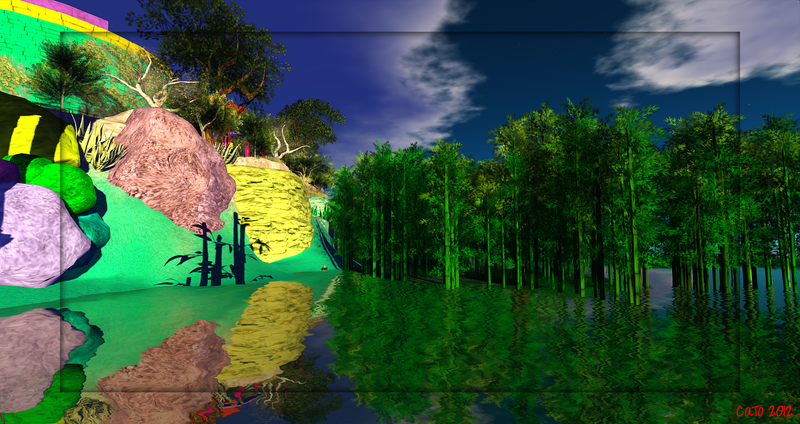 Mexi rebuilt a painting she made in real life in 1995, called Virtual Reality and now almost 2 decades later she was able to finally create it as such – with prims and mesh and sculpts. Really cool! For the occasion the buildings on MIC are coloured too, a happy and cheerful place to visit on a dull rainy afternoon!